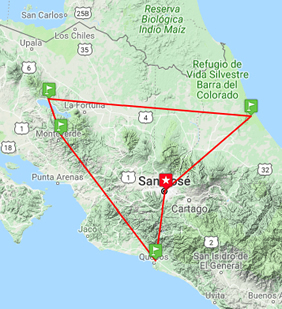 San Jose, Poas Volcano, Carara, Quepos, Monteverde, Arenal, Tortuguero, and more! This evening we have a welcome dinner at gay-owned Cafe Mundo. After dinner we'll have a 'Night Out' city tour to explore San Jose's gay nightlife, visiting some of the best gay spots in the San Jose area. While Poas Volcano is one of the most active volcanoes in Costa Rica, don’t expect to see lava flow (the last major eruption was in 1910). However, you are likely to see steam and gases coming from the crater; occasional geyser-like eruptions have reached up to 820 ft. The main crater is easily accessed from a paved path/road which is about ½ mile from the visitors' center. We continuie to Monteverde. Covered in a mantle of moss, ferns and orchids, this private reserve is home to over 400 species of birds and a great number of animals. The forest is created by the winds, particular temperature and moisture conditions, and mountainous topography which combine during the dry season to hold a steady cloud cover along the continental divide. The rains and the moisture in the air nourish trees and plants rooted in the ground, as well as many plants that live at the upper levels of the forest, and take their nutrients directly from the mist and dust that pass through the air. The result is an enchanted fairy-tale environment where trees are laden with orchids, bromeliads, mosses and ferns that obscure their branches, where the moisture and mild temperatures and sunlight filtered by the forest canopy encourage the exuberance of begonias, heliconias, philodendron and many other tropical plants in every available space on the ground. 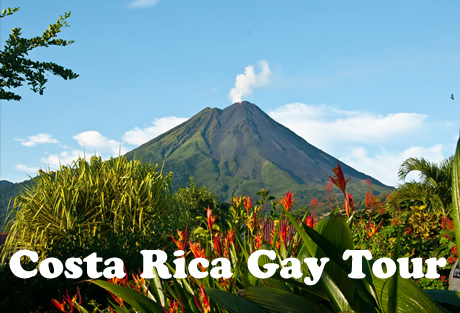 Today we include a guided walking tour (+/- 3 hours) through Arenal National Park. This tour is leisurely in nature, with undulating terrain on a well-maintained track. By this point on the trip, your group leader will have a good sense of your abilities and can discuss your suitability for the excursion a day or two prior. 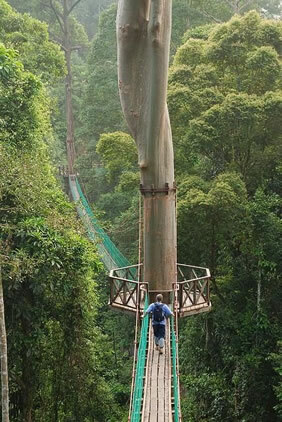 Tortuguero Park is a fascinating place to explore. A jungle walk offers an opportunity to observe an awakening coastal rain forest full of lush vegetation and unique bird life. Keep your eyes open for the tiny red arrow frog-unique to this region. After lunch we visit the village of Tortuguero accessible only by river boat; you may choose to walk on the Caribbean beach where several turtle species lay their eggs each year. Road transport by private air-conditioned bus, 12-24 seats depending on ultimate group size. Costa Rica's roads are generally good though we do have some full, though scenic, days of travel. Our difficulty rating level "2" refers to the trip's general ambitious nature, the possibility of heat at some locations, and the leisurely walks over uneven surfaces that are integral to getting the most out of this destination. This trip is, however, a little easier than most of our programs in Central America, in that the road travel is less arduous and there are more blocks of leisure time built in for relaxation or optional activities. The country is also well-organized and accustomed to foreign visitors with certain expectations concerning comfort and levels of service and amenities. The Sleep Inn Paseo Las Damas Hotel, a four stars hotel, has an excellent location in downtown San Jose, only 20 minutes from the Juan Santamaria International Airport, making our hotel a special place to start your vacations in Costa Rica. Hotel offers two large meeting rooms, the Magnolia Restaurant with 24 hour service and also great entertainment at our Colonial Casino Club, right next to hotel. The surroundings offer many restaurants, corporate centers, nightlife, cultural attractions and shopping centers, that offer easy access for shopping or make business, just steps away, as well as many one day tours that allow you enjoy volcanoes, adventures in canopy's and white water rafting, and many other options featuring this beautiful country. The pretty Pachira Lodge is located 5 minutes' boat trip from the entrance to the lush Tortuguero National Park. 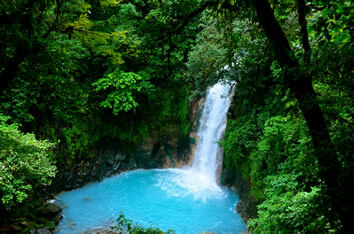 It offers an outdoor pool and sun terraces, as well canopy tours and green turtle spotting. At Manuel Antonio Hotel , located in beautiful Manuel Antonio, Costa Rica, you'll experience all the beauty of a true tropical paradise and the excitement of local attractions. 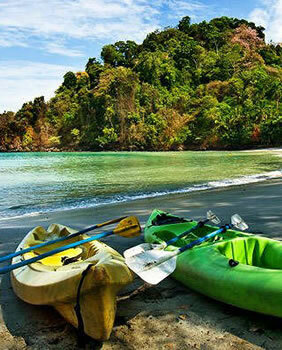 The Manuel Antonio Hotel is a perfect destination for those seeking adventure travel, ecotourism, or just the beauty of white sand beaches and magnificent ocean views. The Hotel is conveniently located within minutes from the World Famous Manuel Antonio National Park, the small sport fishing town of Quepos, and the local airport. Hotel rooms are tastefully decorated according to the highest standards and meet the needs of families, couples, and business travelers. All rooms feature well-appointed bathrooms, telephone, air conditioning, TV. 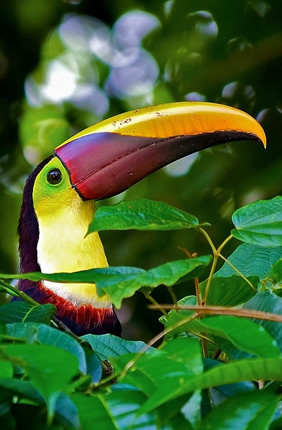 Visit Manuel Antonio Hotel Restaurant and enjoy the best of Costa Rican and international cuisine.